HT® Polar Tip-Up with Pop-up Ice Hole Cover. 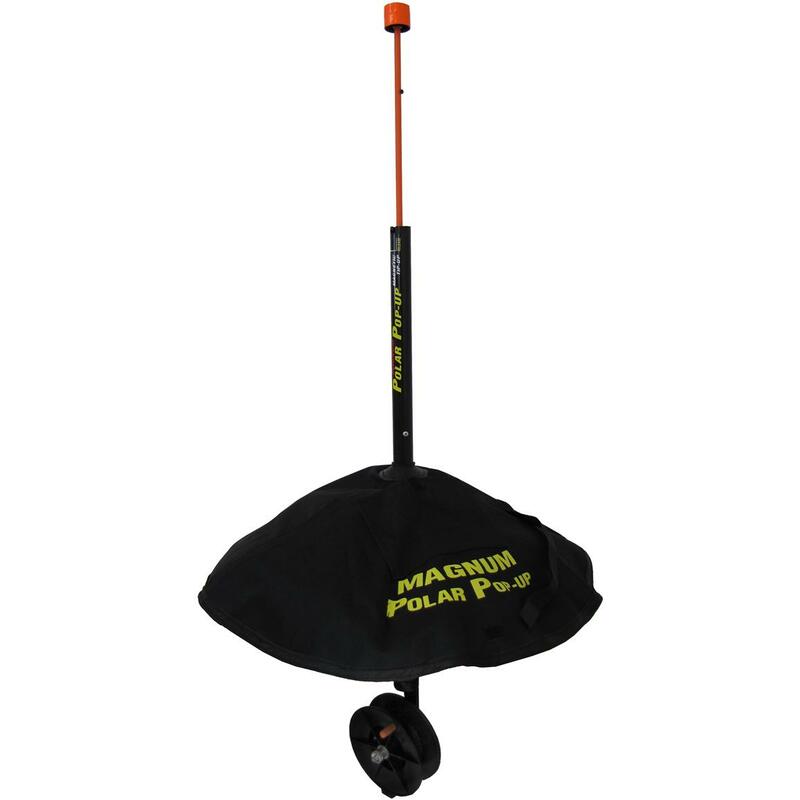 The Polar Tip-Up lets fish "run" a bit with its extra-large 1,500' spool with handle-adjustable magnet tension settings! New rubber line keeper slides up and down the pop up tube above the spool... put your hook in it to keep your leaders straight.